Why is the English job title Human Resource Manager used in Dutch job advertisements instead of the Dutch Hoofd PZ ? How frequent is the use of English in Dutch job ads really? What do Dutch readers think about English in job ads? 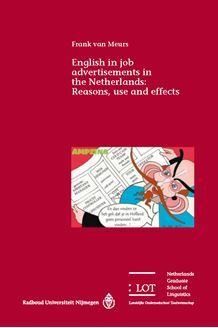 This book is of relevance to those with an interest in English in the Netherlands as well as to those interested in the reasons for and effects of language choice in advertising.